﻿ Book Captain Morgan's Retreat (San Pedro) - 2019 PRICES FROM A$209! 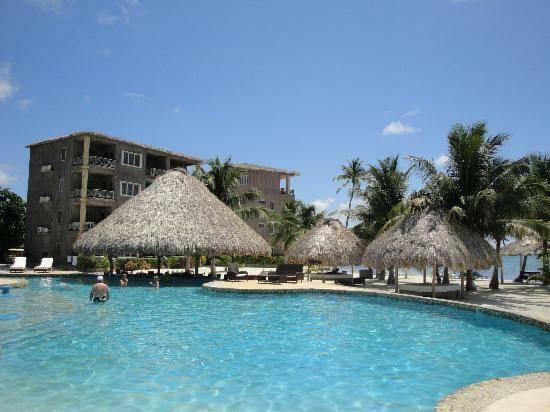 Featuring a private beach area, swimming pool, an extensive garden and sauna, Captain Morgan’s Retreat is set in Ambergris Caye, just a short boat ride from San Pedro Town. The cottages offer tropical décor with thatch roofs, air conditioning, a sofa, safety box and balconies with sea views. The kitchenettes have dining area, coffee maker, stove and fridge. The bathrooms come with shower. This property has a restaurant, a gift shop and a convenience store. Guests can enjoy services such as massages and spa, and also arrange tours to Mayan Ruins. San Pedro Airport is 1.2 mi from San Pedro Belize dock where guests can take the boat to Captain Morgan’s Retreat. Please note that there is a 10% gratuity fee plus tax to be paid upon arrival. Please inform Captain Morgan's Retreat of your expected arrival time in advance. You can use the Special Requests box when booking, or contact the property directly using the contact details in your confirmation.